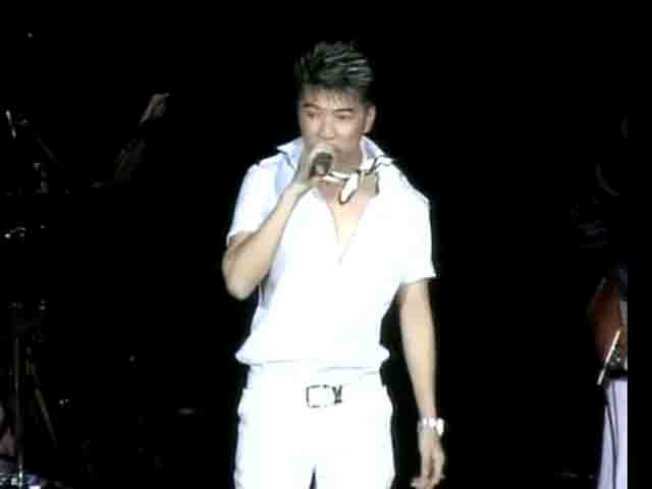 Fans of internationally known Vietnamese pop singer Hung Vinh Dam saw a real life on-stage drama during a concert at the Santa Clara Convention Center this weekend. Shortly after 8 p.m. Sunday a man dressed as a woman approached the stage waving a long-stemmed flower. When Dam bent over to accept the gift, he was attacked with a can of pepper spray to the eyes. Dam took a direct hit, while several people with the good seats also suffered its effects. The venue was evacuated to let the chemical dispurse. No one, including the star, was seriously hurt. The show went on after a 15 minute delay. Santa Clara police say what appeared to be a sweet, old woman showing her admiration for the singer was actually anti-communist political activist Tong Ly posing as a woman. Ly was immediately arrested by Santa Clara police. His bail is set at $50,000. This isn't the first time Ly has been in the news. According to San Jose Mercury News Ly is best known for a 2008 hunger strike aimed at persuading San Jose officials to name a retail district "Little Saigon." You can see the attack at the end of the show in the following YouTube clip. It happens just off camera about 1:10 in.